Bannerman was born in Aberdeen, Scotland on October 7, 1788. He received a grammar school education and attended Marischal College in Aberdeen. Bannerman made his reputation and money running the family wine business after his father's death in 1820. 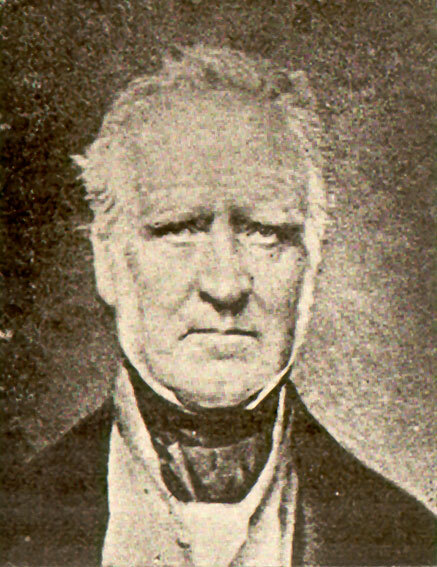 In 1832, he became MP for Aberdeen. In 1850 after marrying Margaret Gordon, of Prince Edward Island, who is best known as the writer Thomas Carlyle's "first love" -- he was appointed lieutenant-governor of Prince Edward Island where he instituted responsible government. In 1854 he was appointed governor of the Bahamas, and in 1857 became governor of Newfoundland. Bannerman's term began in the midst of heated negotiations between the colony, France, and Britain regarding French fishing rights along the French Shore. Bannerman found the Newfoundland government, under John Kent, unreasonable in its dealings, and corrupt. He argued that undeserving people received relief aid, and that funds were misappropriated. Characteristically, Bannerman tried to fix the problems. During the 1859 elections, he called for an enquiry into election procedures at Harbour Grace and Burin after reports of disorderly conduct took 10 days to reach him. He also held an independent inquiry into reports of undue influence within the Assembly. The most sensational political drama ensued when Bannerman dissolved the government during a dispute over a currency bill when premier John Kent questioned the governor's authority. The dissolution resulted in a tense election of the opposition party to power, and crowd violence in St. John's. Troops quieted the riots, however, and the government resumed its work. Bannerman ended his term in 1864. Upon returning to London, Bannerman, who was planning to return in Aberdeen, contracted a bad cold, and, weakened, fell down a flight of stairs. He died on December 30, 1864 (Moulton and Robertson 30).